Discover how this extraordinary art gallery has not only some of the greatest works of art in Florence, but in the entire world. You will learn about and witness some of the great protagonists in Italian Art. You will see all of the great masters such as Giotto, Botticelli, Da Vinci, Raphael, Michelangelo, Titian, Caravaggio and much more. A personal guide will create a context for you in which you can understand how the Medici, a prominent banking family, created a space to use as “offices” for their record keeping and hold their artistic commissions become the most significant site to see in Florence. Taking a private tour of just the Uffizi galleries with Through Eternity Tours will create an experience that will be a perfect foundation to see any other art collection in the world for everyone in your family. Our Florence Tour is full of moments of breathtaking beauty - standing in front of the Birth of Venus in the Uffizi, gazing up at the Duomo, or walking across the Palazzo Vecchio. Our tour of Florence shows you the best parts of the city, and the most beautiful, while bringing the past to life. Florence was at the centre of artistic, political and scientific developments during the Renaissance, and was home to men such as Michelangelo, Leonardo da Vinci and Galileo. The masterpieces that fill the galleries of the Uffizi and the Duomo were created by some of the greatest artistic geniuses of the age, who were supported by the mighty Medici dynasty. 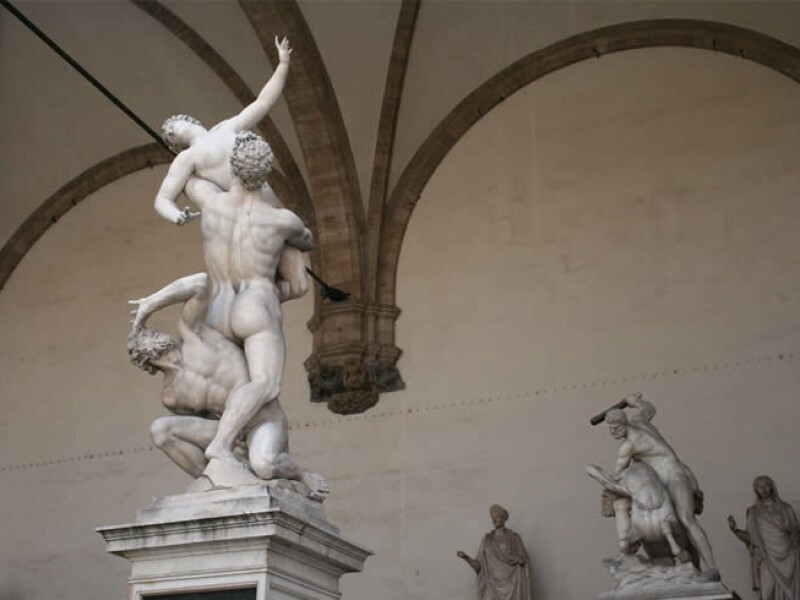 On your engaging Florence private itinerary, your personal guide will discuss the connections between art and political power, and explain why Florence played such an important role in European history. Visits to the elegant Piazza della Signoria and Palazzo Vecchio - the seat of political power in Florence - will be enriched by the explanations of your expert guide. 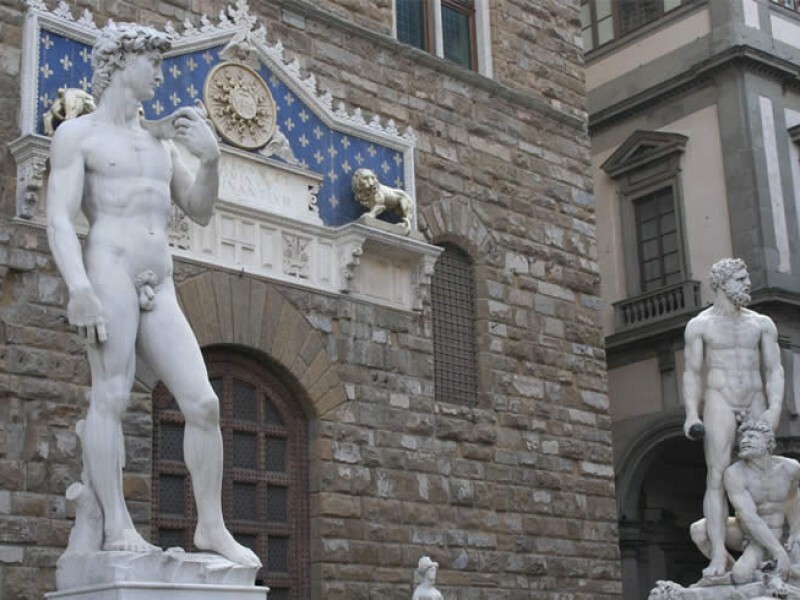 This comprehensive tour includes must-see sights such as the Uffizi and Ponte Vecchio, as well as some fascinating parts of Florence that are overlooked by other tour companies, including the beautiful Palazzo Davanzati. The relatively compact size of the city centre makes Florence ideal for walking, and on your tour you’ll see some of the most famous piazzas and fountains, as well as exploring the atmospheric back streets. Your insightful journey begins at the Duomo, the site of the attempted coup, and the religious heart of Florence. The fascinating, multilayered history of the building will be revealed as you explore the remains of Santa Reparata, the 4th century cathedral buried beneath the 15th cathedral, and discover how the Duomo and its predecessor have always played an integral role in the city’s history. Our private tour of the Duomo will introduce you to the art of Brunelleschi, the headstrong architect who achieved his vision, against the odds. It was Brunelleschi who designed the cathedral’s extraordinary dome, an astonishing feat of engineering that dominates the city skyline. The distinctive octagonal building nearby is the Baptistery, which attracted the most talented artists in Florence; a competition to design a new set of doors led to an astonishing creation by the young Lorenzo Ghiberti. 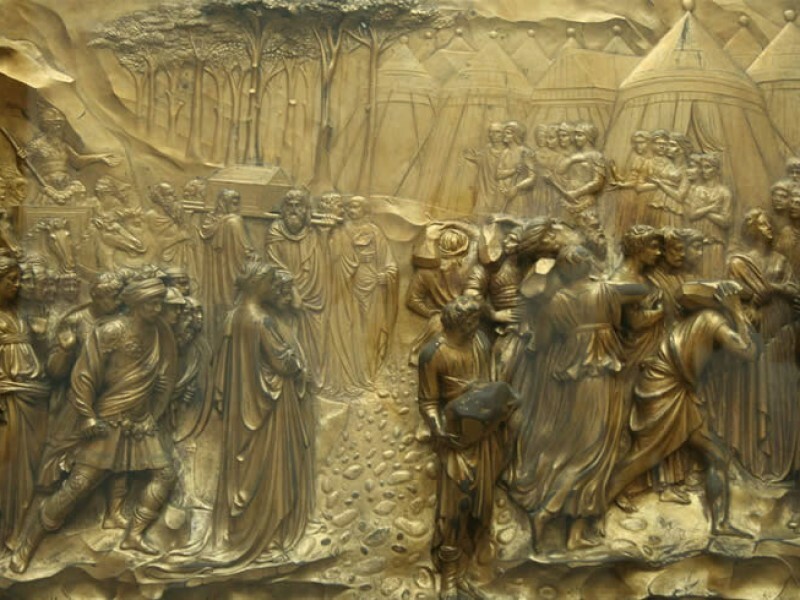 The exquisite bronze doors took 21 years to complete, and one set was dubbed the “Gates of Paradise” by Michelangelo. The city's powerful mercantile past is today a distant memory, but the history of Florence's guilds is an essential part of the city's rich tapestry of palaces, churches and piazzas, which you’ll explore on your exclusive Florence tour. The guilds were keen to promote their self-image in Florence and beyond by commissioning lavish artistic projects such as the statues that ornament the façade of Orsanmichele, including Donatello's remarkable St. George. This burgeoning merchant class also built grand new residences to show off their wealth, as you’ll see when you visit Palazzo Davanzati. In contrast to the heavily fortified medieval buildings that surround it the palazzo is light and spacious, reflecting the new priorities of the powerful family that lived there. 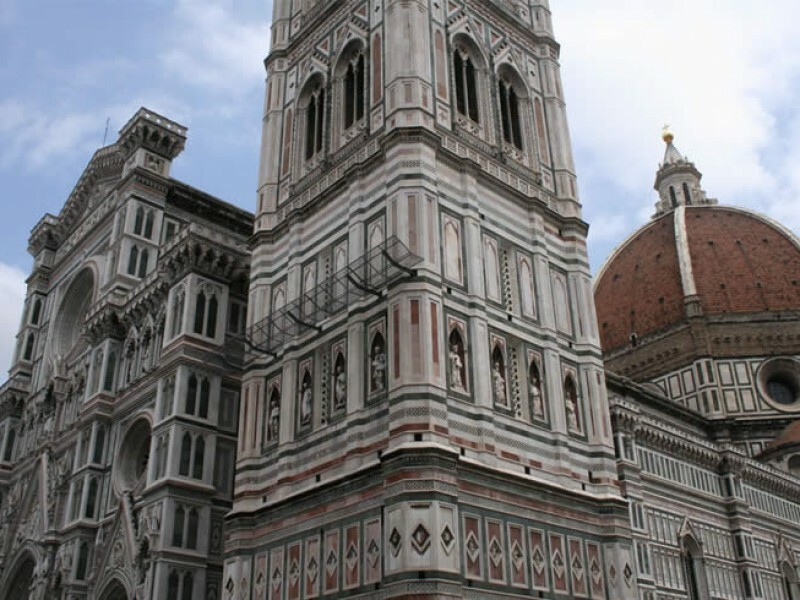 As you walk through the streets and admire these beautiful buildings, you’ll have the opportunity to discuss Florentine society with your personal guide, and learn why Florence was once one of the most important cities in Europe. 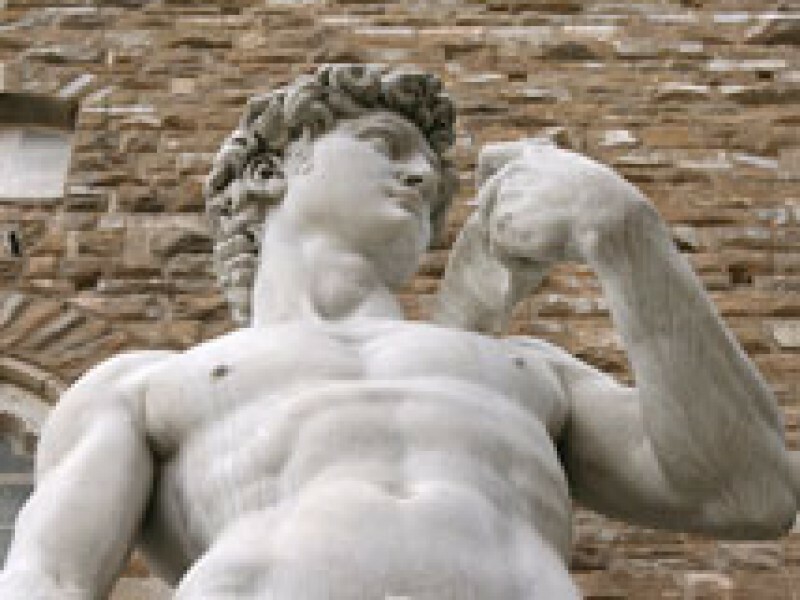 No family, of course, could match the Medicis for power or wealth, and we return to their story with a tour of Piazza della Signoria. It oversaw some of Florence's greatest controversies, such as the execution of the apocalyptic preacher Savonarola in 1498, and is dominated by the imposing 13th century Palazzo Vecchio, which you’ll visit with your personal guide. Traditionally the seat of the city's magistrates, the Medicis took up residence here in the middle of the 16th century, a forceful statement of their total dominion over the city. A visit to Piazza della Signoria and Palazzo Vecchio is an opportunity to learn about political intrigue and networks of power while admiring some of the most beautiful parts of the city. 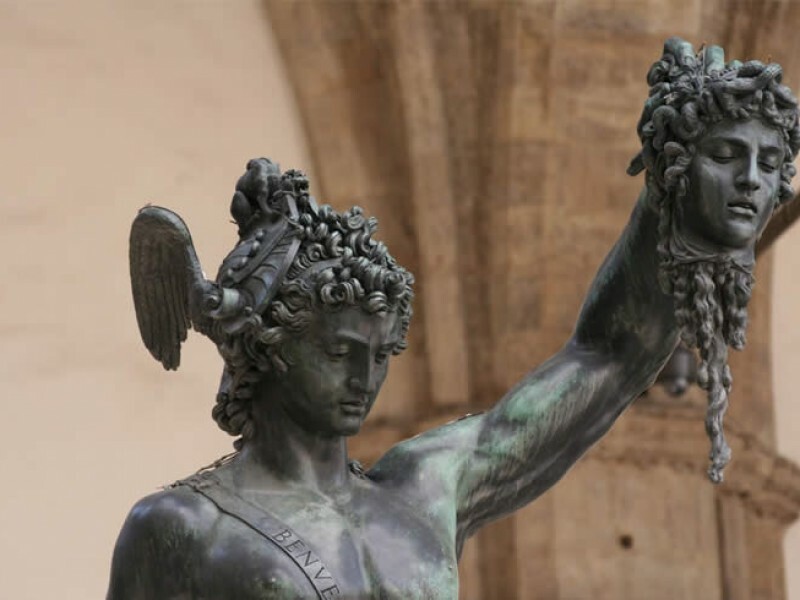 Piazza della Signoria resembles an open-air art gallery, with a replica of Michelangelo’s David and Benvenuto Cellini’s Perseus with the Head of Medusa, as well as countless other statues. The interior of Palazzo Vecchio is one of the surprises of our Florence private tour, with many sumptuously decorated rooms containing masterpieces by Vasari, Michelangelo, Ghirlandaio and Bronzino, among others. Palazzo Vecchio also offers impressive panoramic views of the city centre, including the Duomo and the surrounding rooftops. It is also to the Medicis that we owe the Uffizi Gallery, the world's greatest museum of Renaissance art. Originally built to house the magistrates after their eviction from Palazzo Vecchio, the Uffizi soon became a showcase for the family's fantastic art collection. On your Uffizi tour the fascinating story of Renaissance art will be revealed through its finest masterpieces, from the pioneering works of Giotto and Masaccio to the superlative mythological canvasses of Sandro Botticelli. You will learn of the humanist philosophies that dominated the intellectual climate of the Medici court, and discover the lives and works of the three greatest geniuses of the High Renaissance - Leonardo Da Vinci, Raphael and Michelangelo. Raphael and Michelangelo would leave for Rome at the height of their powers, drawn by the patronage of a series of fabulously wealthy popes intent on glorifying the Eternal City. The political pre-eminence of Florence on the Italian stage was at an end. At the end of your Florence private tour you will stroll across the picturesque Ponte Vecchio, which offers stunning views of the Arno. This medieval stone bridge is where Florence's mercantile and aristocratic pasts collide. For hundreds of years fish-sellers, butchers, and leather artisans plied their trade along its length. But the Medicis made their mark here, too. Upset by the smell and noise created by these plebeian trades, a 16th century Medici duke had them replaced by the more dignified goldsmith shops and jewellers that we still see today. This is a city that has been shaped by great personalities, from princes to merchants to artists. For an unforgettable experience, explore the Florence of the Renaissance with us. This is a completely private tour, so you will have a personal guide just for you and your party. In Piazza della Signoria. You will receive further details, including a map and photo, on booking.